Sharp Health Plan has added an online drug price checker tool. The online tool is powered by PilotRx. 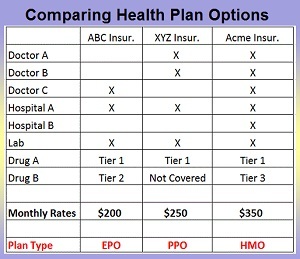 Prices quoted are specific to the rates negotiated by MedImpact on Sharp Health Plan’s behalf. For more detailed medication information, Sharp Health Plan members should log in to Sharp Connect to receive the most accurate drug pricing based on their benefit plan. Drug formularies can be confusing to the average member who all of sudden is prescribed medication from their doctor. While there may be many different generics and brand names available for the specific type of medication, not all of the drugs may be available to plan members. Most drug formularies separate the prescription medications into drug tiers with Tier 1 being the least expensive generics. Sharp Health Plan online drug price checker tool will provide the member with the price of the prescription at various pharmacies. Complicating the search for the least cost prescription is that most health plans have preferred pharmacies. A plan member may pay more for the exact same prescription if they visit a non-preferred pharmacy. The Sharp Health Plan online drug price tool shows drugs and how much they will cost the member at different pharmacies or through the mail order program. Clicking on the “Save More With Generic” button, if it is available for the particular drug, will give generic alternative and costs. Some of the generics may actually be no cost to the member. If the prescription has quantity limits, clicking on the Rules link will show the maximum number prescription. Clicking on the “View All Similar Drugs” button will provide a list of other drugs on Sharp’s drug formulary approved for the same medical condition. The Sharp online drug price tool will highlight the best price of the drug at which pharmacy in their network. Clicking on the Save More With Generic button will show generic drugs for the one chosen by the member. Some of the generics might be no cost to the member. The PilotRx online tool will also provide the names of similar drugs to the one searched for by the member.